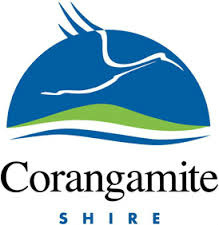 Click HERE to view the website of the Corangamite Shire Council for updates on local activities. Skipton is in the north-western corner of the Shire's boundaries. Now on Facebook there is a site where everyone can join in the chatter of the things that matter in Skipton. Primarily set up for people to trade information about weather warnings, fires or floods, it can also be used to let people know what's happening in the town.